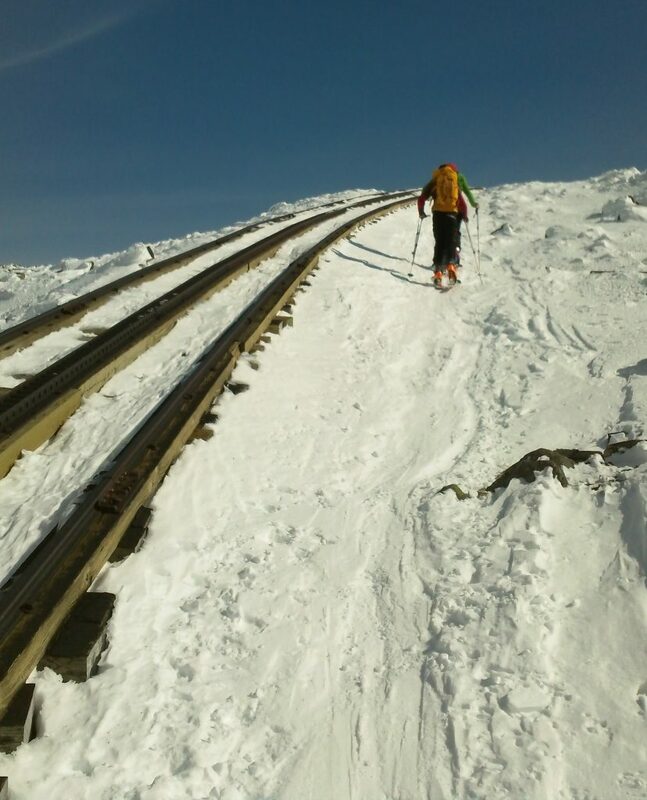 Whether I spend the day testing my mettle at Cathedral, getting in laps on Cannon, clipping bolts at Rumney, or wrestling pebbles at Pawtuckaway, I know I’m not making it all the way home without stopping to eat. But, what to eat? That’s usually an easy answer: pizza. In my humble opinion, it’s the perfect post-climbing food. It’s delicious, its various toppings can accommodate most palates, and it is relatively inexpensive. Those of us who climb in New Hampshire are lucky to have some fantastic pizza options in close proximity to most of our major crags. My girlfriend recently coined the term “sending slices,” because sometimes that warm slice in the near future is all the motivation you need to push through the crux. 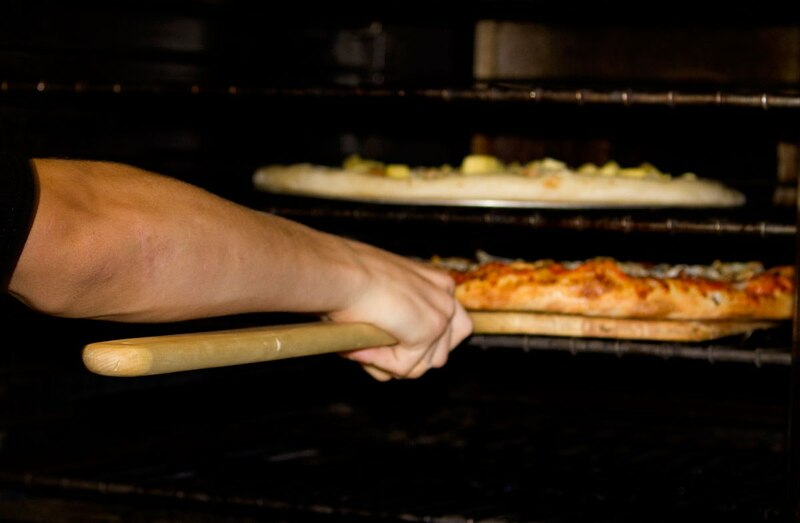 Perhaps the best pizza in New Hampshire is right down the street from what’s probably the state’s best bouldering spot. Pizza by George in Raymond is perfect for cooling down after a hard day battling Pawtuckaway’s coarse granite boulders and cracks. Offering gourmet pizza by the slice, this place is a must-visit. But, be warned: These slices are more filling than they look. Insider tip: Save some room for a pepperoni roll or two—they’re delicious. For years, I bemoaned having to leave Rumney to drive to Plymouth for a decent post-send slice. That’s no longer an issue, thanks to The Common Cafe. 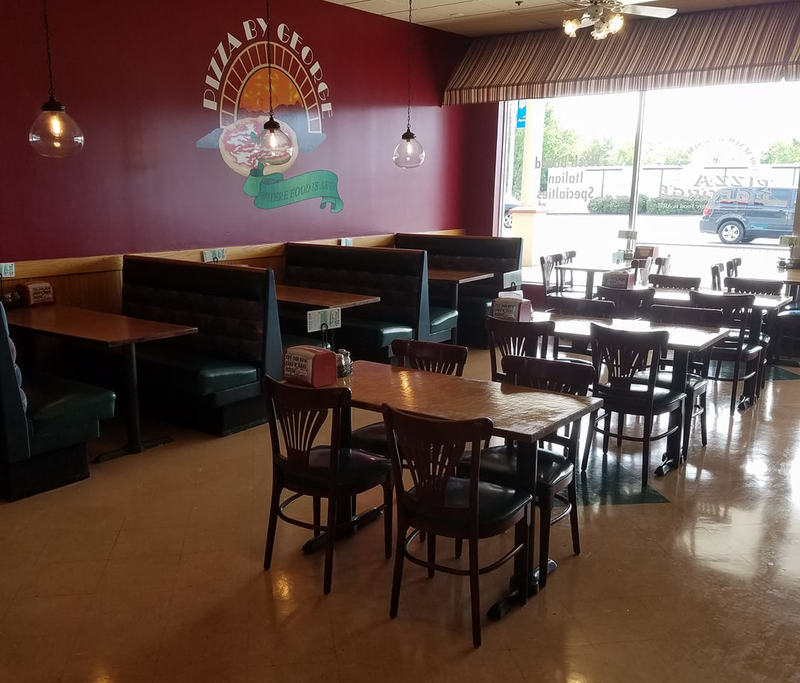 Located in Rumney Village right on the way to the crag, The Common Cafe and Tavern features generously sized pizzas and super-fresh toppings. My inner dirtbag also appreciates the free popcorn they give you while you wait for your food. No one-trick pony, The Common Cafe and Tavern is as good for a coffee and breakfast sandwich earlier in the day as it is for a pizza and pint at the end. 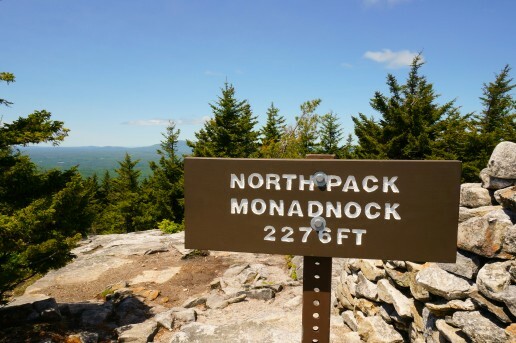 Rock climbers spending time on Cannon—or anywhere in Franconia Notch—should certainly pop into the town of Woodstock and grab a pie at GH Pizza. The best thing I can say about GH is that there isn’t much to say. The place is totally unassuming. More specifically, GH makes Greek-style pie, and has a classic pizza-place ambiance. Along with great food, it offers reasonable prices and fast service. For this last point, the hungry climber in me really appreciates this. 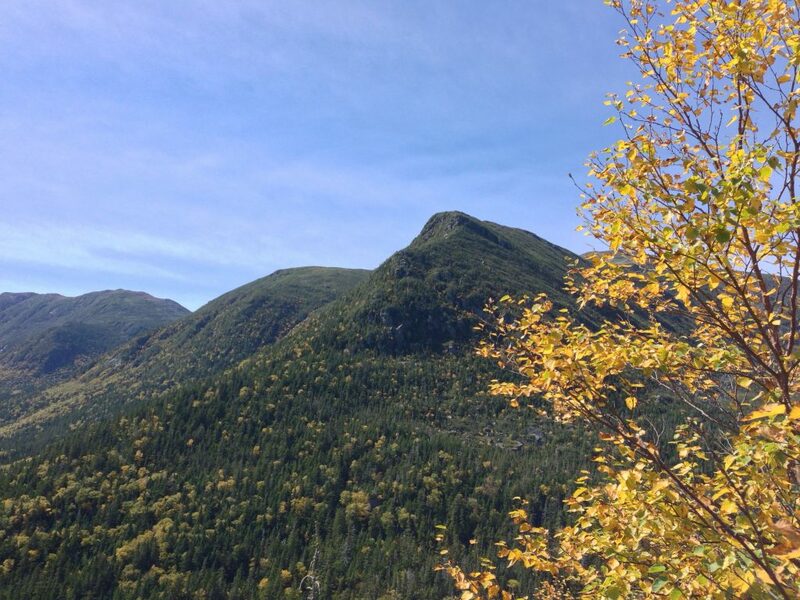 Climbers in the Crawford Notch area are hard-pressed to find a place to eat, much less one that’s great. Catalano’s Pizzeria in Twin Mountain offers incredibly good pizza at reasonable prices, which is quite a trick, as they seemingly have no competition. Ice climbers leaving Frankenstein will love the “large” large pizzas that always appear extra big. Generally, Catalano’s pizza is always loaded with cheese, and they never skimp on toppings, helping you to replace all the calories you just burned. Insider tip: Stash their number in your phone and call ahead. Things move a little bit slower this far north. 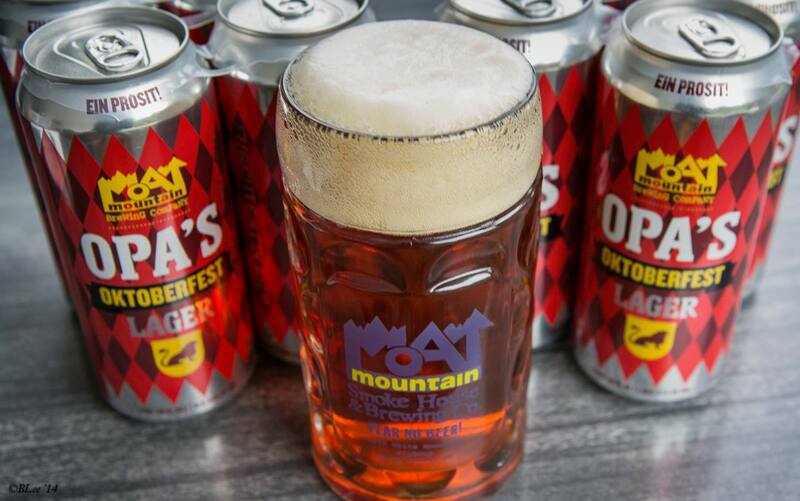 North Conway: Moat Mountain Smokehouse & Brewing Co. 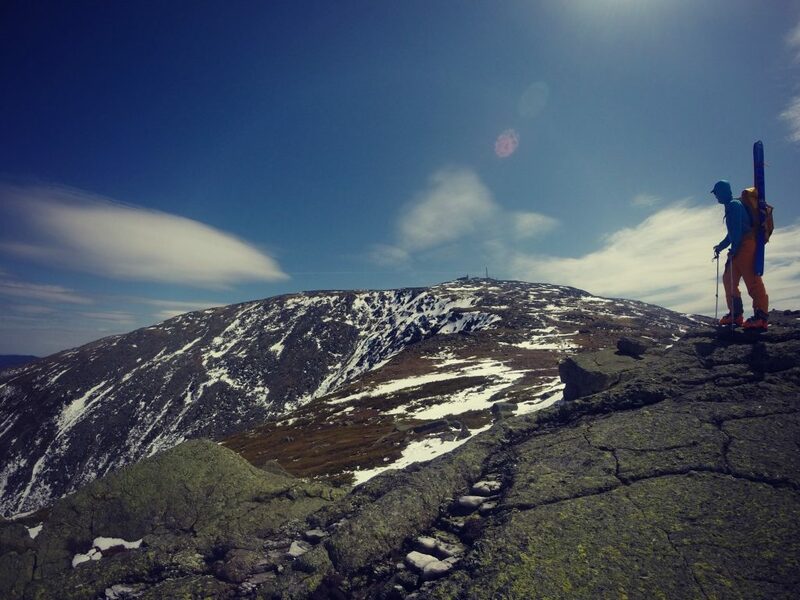 In addition to being New England’s climbing hub, North Conway is also northern New Hampshire’s busiest tourist destination. Thus, the town has an abundance of places to eat, and there is no shortage of great spots to grab a slice. 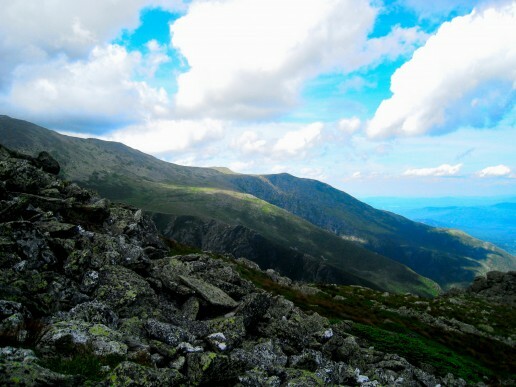 Called the Great Gulf, the massive ridge joining Mount Washington, Clay, Jefferson, Adams, and Madison forms the largest glacial cirque in the Presidential Range. The roar from Weetamoo Falls and the West Branch of the Peabody River echoes across the wilderness’ ridges and cliffs. 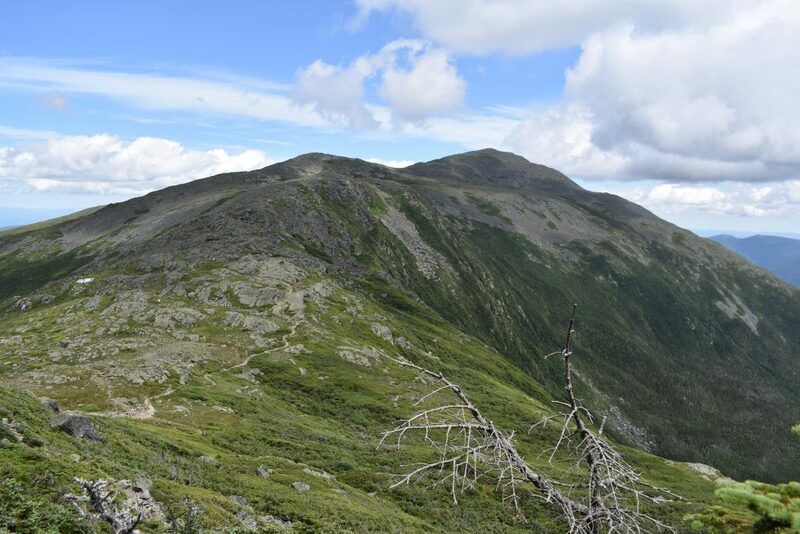 Here, salient spurs descend each mountain to form small, remote ravines populated by moose and black bear. 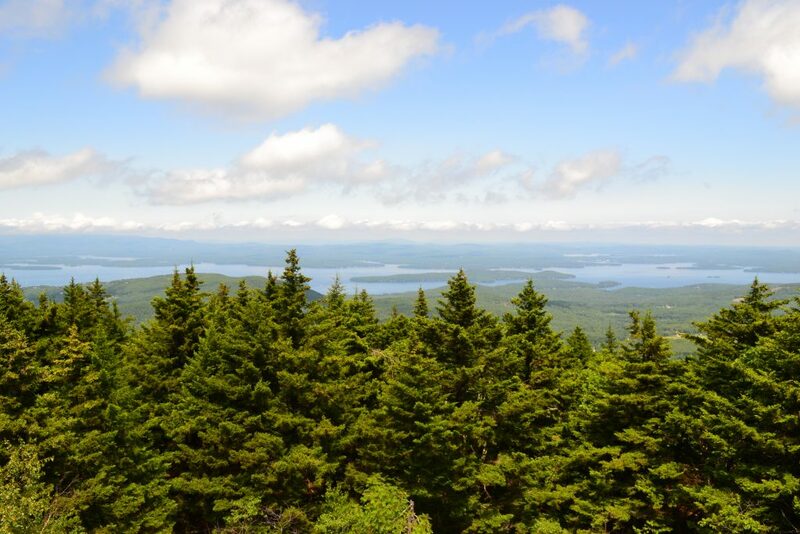 Few places in New England can match its grandeur. 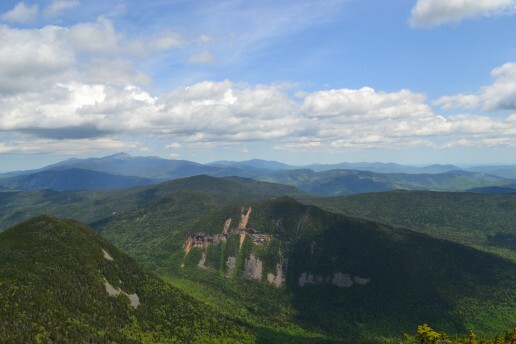 The glacially carved, boulder-strewn terrain rises over 2,000 feet from the Gulf’s floor to the peaks, making any visitor feel small and fragile. 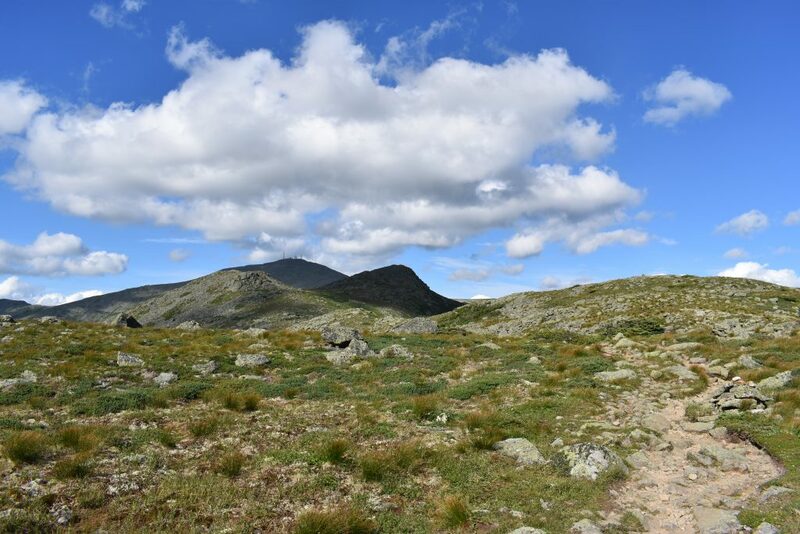 The trail network in this region, perhaps the Whites’ most rugged and spectacular, provides hikers familiar with these mountains new vantages, challenges, and solitude. 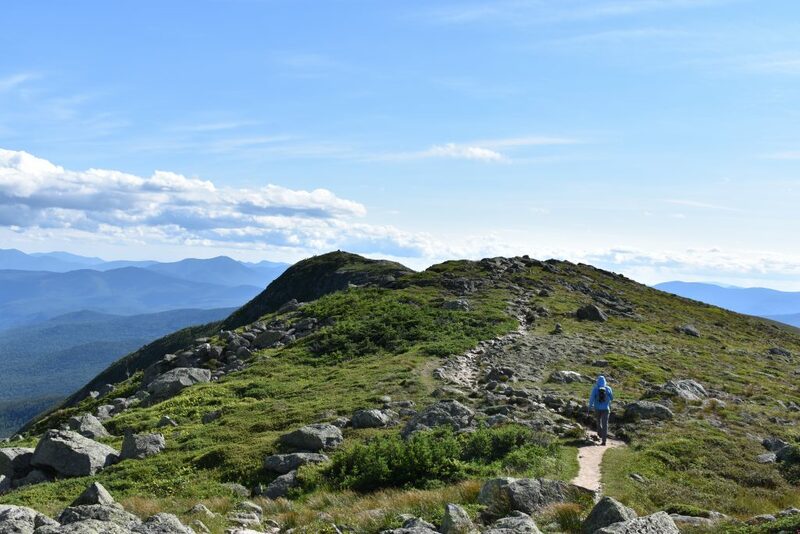 Each ascends a direct and arduous route over a steep ridge or up a wild ravine, making most Presidential Range trails feel tame by comparison. 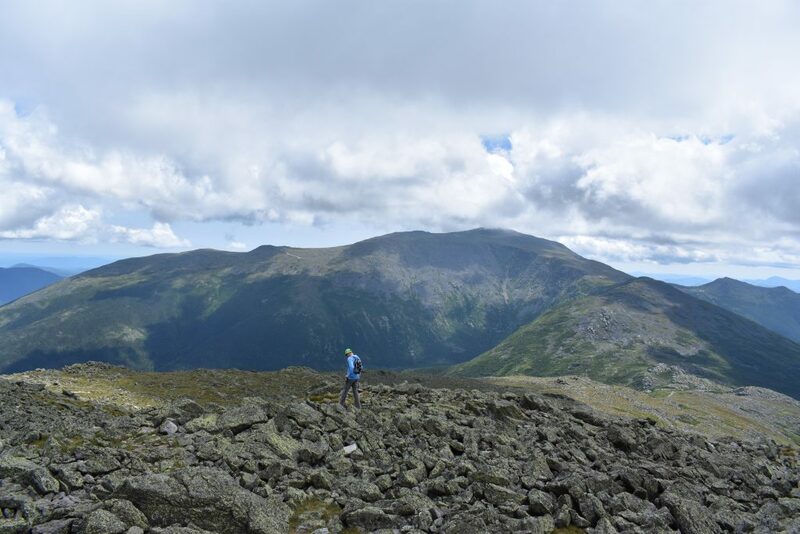 In addition to ascending tremendous elevation over a modest distance, hikers must navigate all of the challenges nature can provide: house-sized boulders, major water crossings, and precipitous ledges. 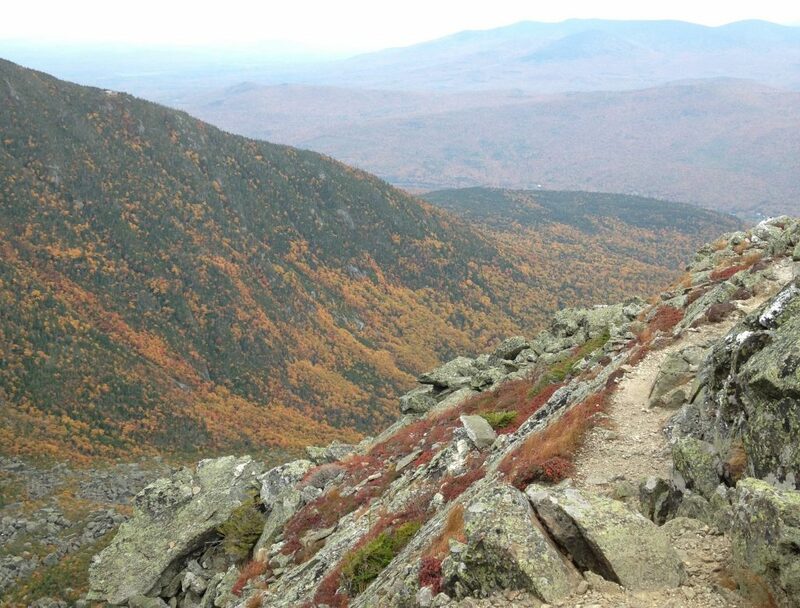 The Edmands Path, Crawford Path, and Valley Way were constructed with a hiker’s comfort in mind, with grading and switch-backs. By contrast, The Great Gulf’s trails, built between 1908 and 1910, were at the mercy of the terrain. 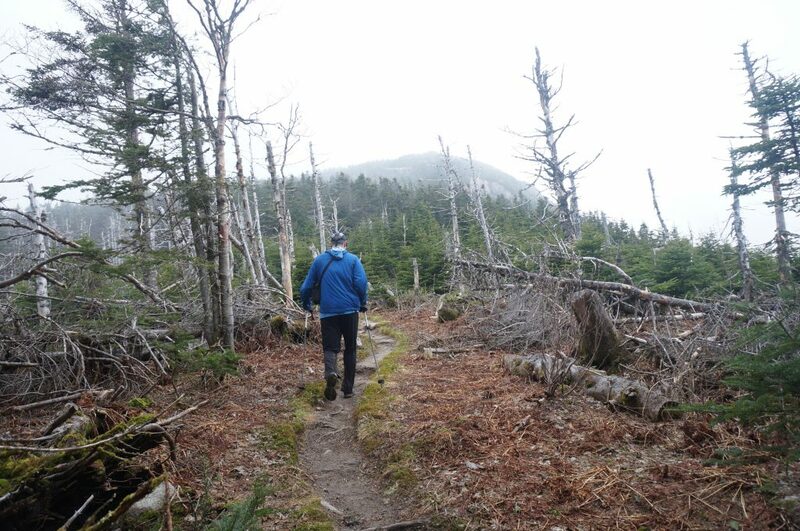 Specifically, trail builders used paths nature had already cleared: landslides, boulder fields, and talus. 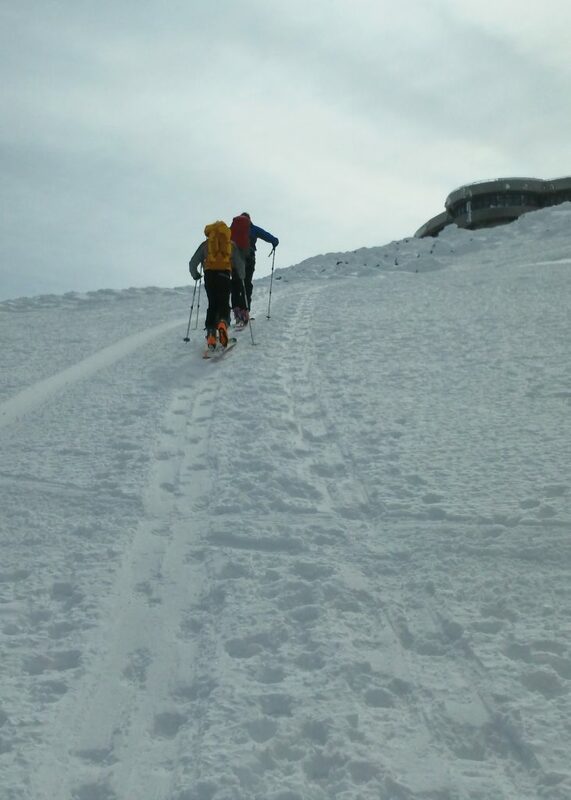 As a result, these trails follow painfully direct routes to the summits, which only strong hikers should attempt. 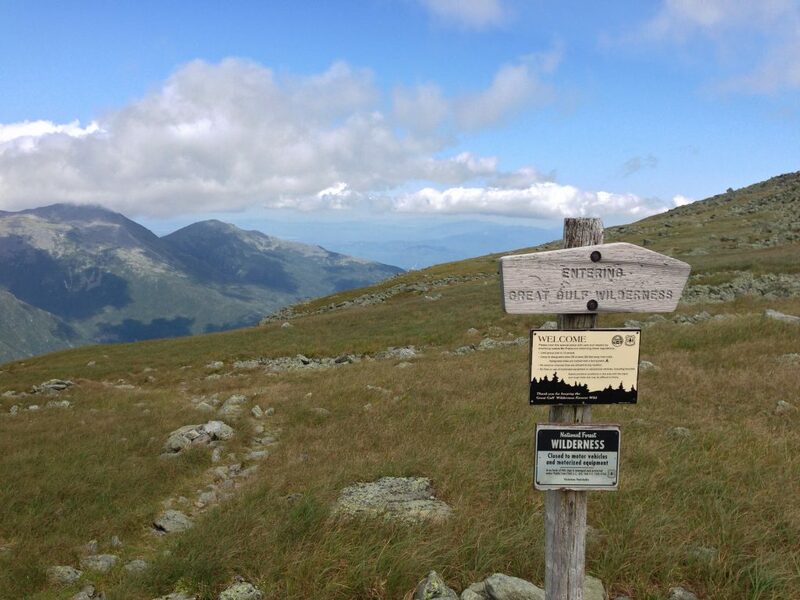 Traveling 7.4 miles and ascending more than 4,500 feet from New Hampshire Route 16 to an area below the summit of Mount Washington, the Great Gulf Trail is the network’s artery. It is also perhaps the most demanding. After following the West Branch of the Peabody River for six miles, it passes Weetamoo Falls and eventually Spaulding Lake—a gorgeous glacial tarn—before ascending the massive boulders and landslides of the Great Gulf headwall. 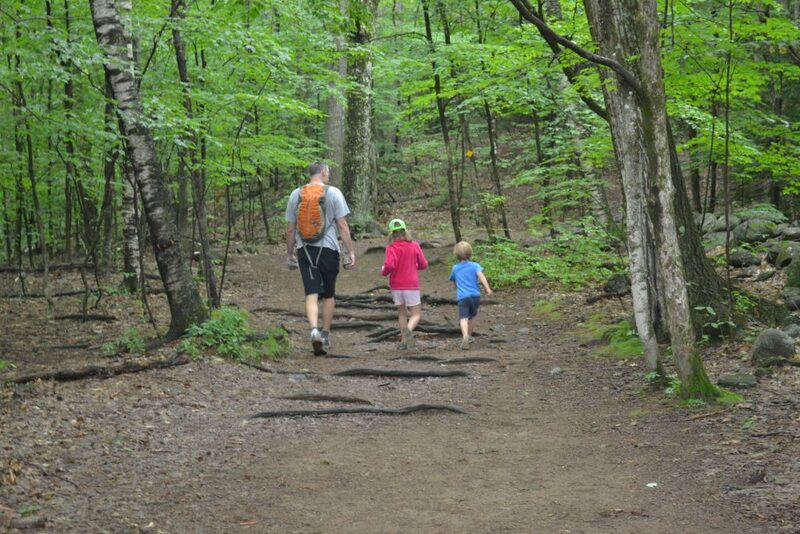 Being in a wilderness area, the Great Gulf’s trails are maintained to a low standard. 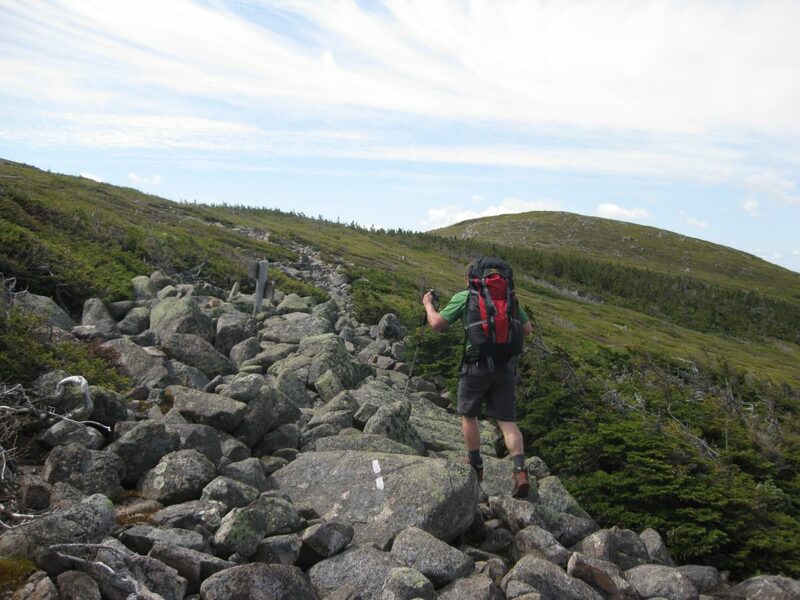 As such, hikers will encounter brook crossings, sharp boulders, standing water, and slippery river rocks. 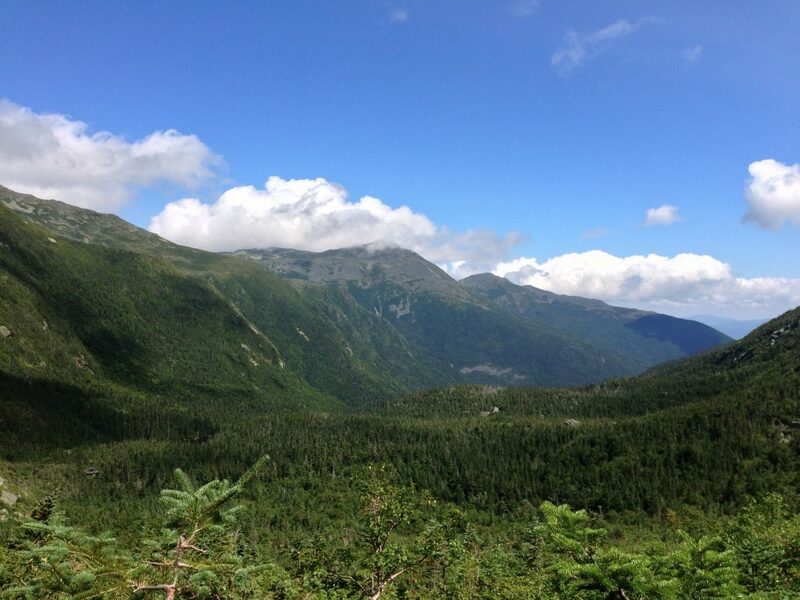 Approximately 2.5 miles from the Great Gulf trailhead, the Madison Gulf Trail climbs to the Adams-Madison Col. 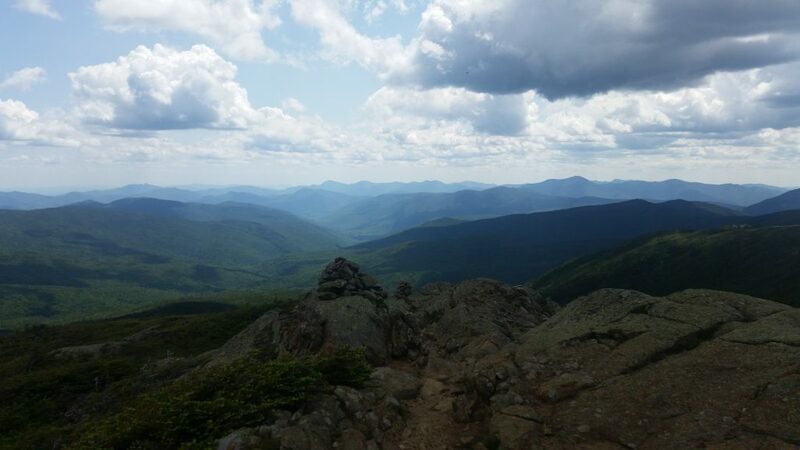 It is a gnarly journey, passing brooks and cascades with a steep and wet climb up exposed boulders before intersecting with the Parapet Trail. Keep in mind that the footing becomes dangerously slippery where the Madison Gulf Trail goes through the Parapet Brook and near the Madison Gulf headwall. 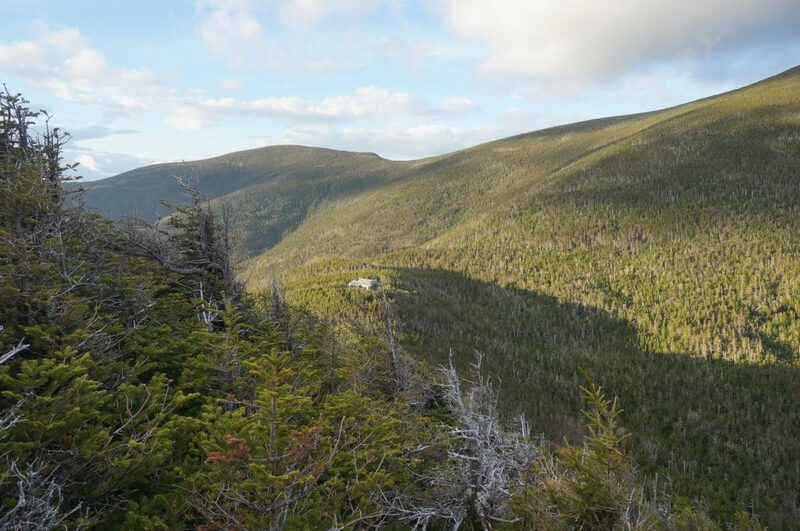 Roughly one mile west of the Great Gulf Trail’s juncture with the Madison Gulf Trail, the Chandler Brook Trail climbs the ravine’s south side on rugged and slippery rock up Chandler Brook to the Mount Washington Auto Road. 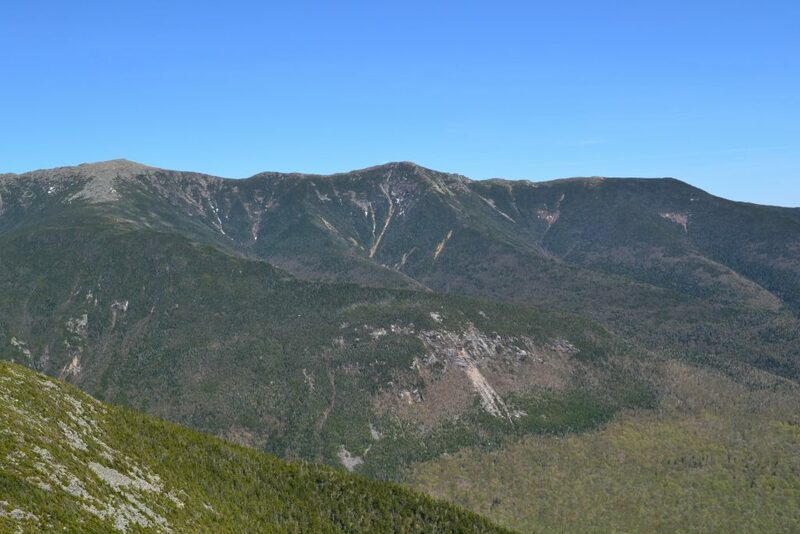 At 4.5 miles along the Great Gulf Trail, one of the White Mountains’ steepest paths diverges to ascend a wildly rugged ridge. 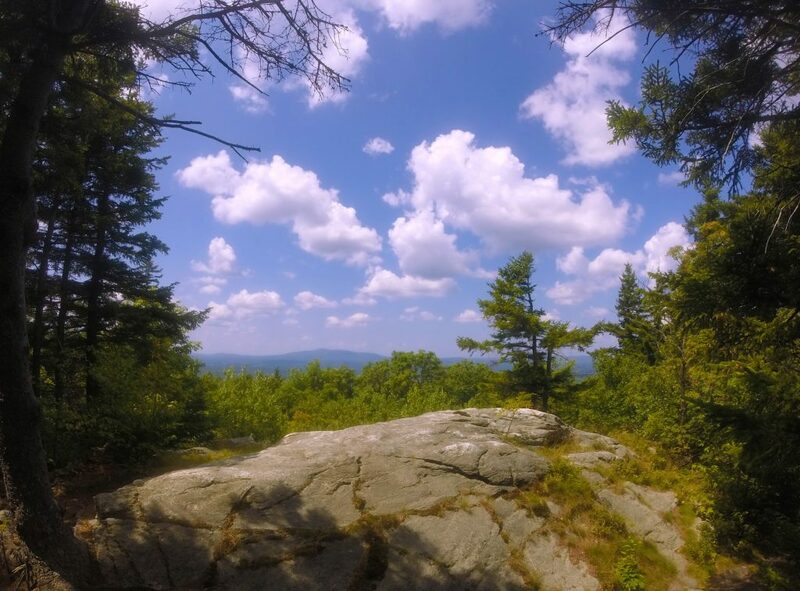 Six Husbands Trail—named for the six husbands of Weetamoo, queen of the Wampanoag tribe during the 1600s—is among the forest’s most strenuous, demanding, and spectacular hiking trails. It is infamous for its series of wooden ladders that ascend the cliffs of a steep arête, called Jefferson’s North Knee. 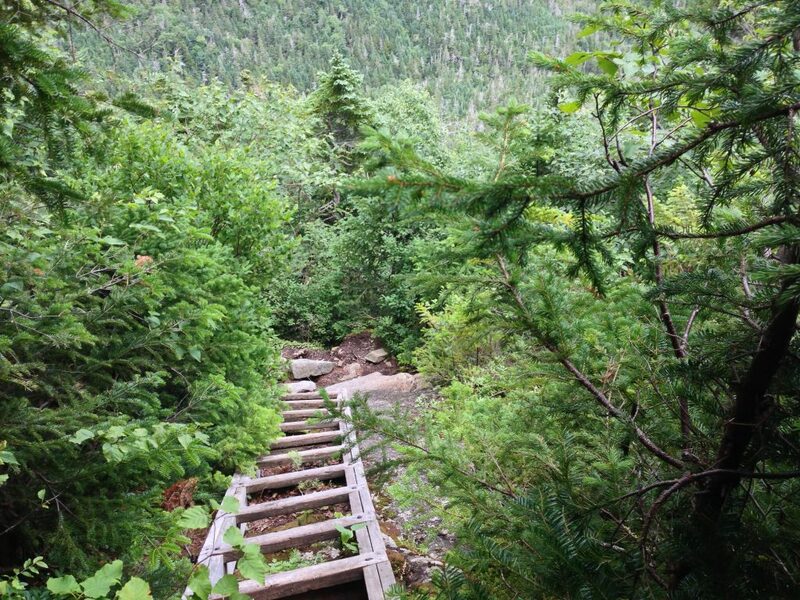 The Forest Service has secured, with bolts and cables, the ladders to huge outcroppings. 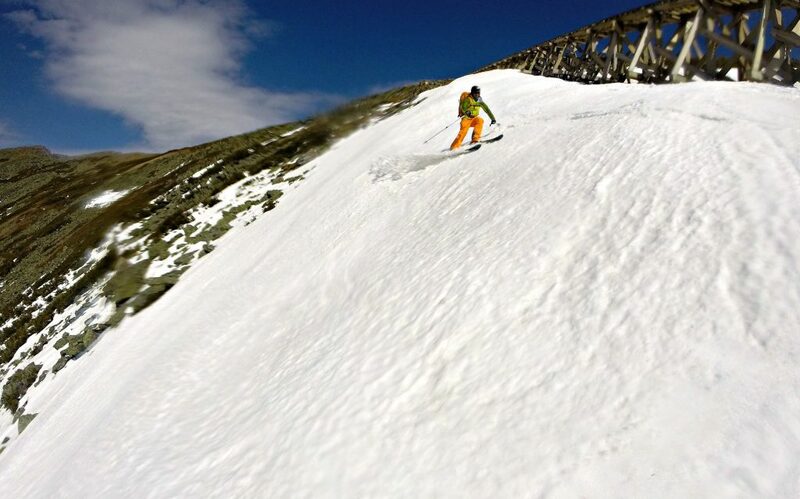 Ascent demands that adventurers suppress any fear of heights to climb painfully tight, cliff-like terrain. 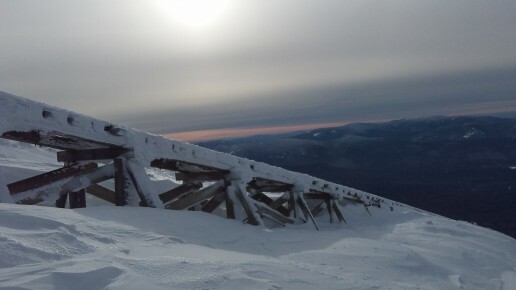 Above the ladders, the steep climb continues to the summit of Jefferson. 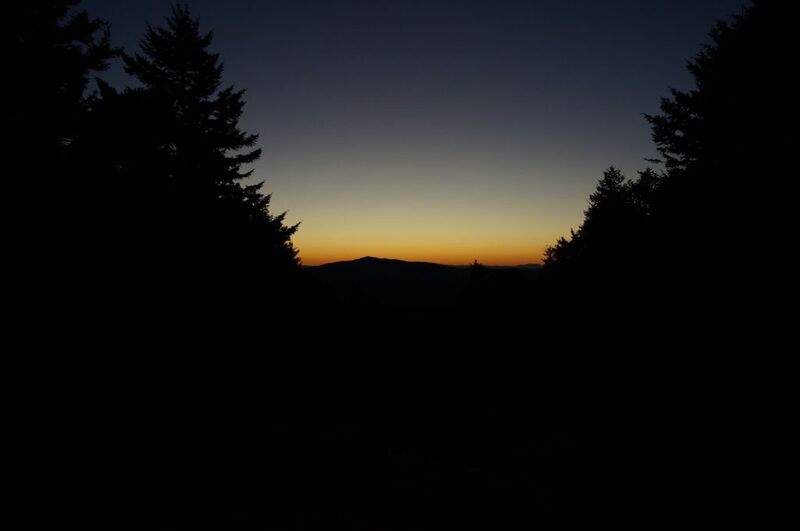 Along the way, views of Adams, Washington, and the Carter Range leave an impression. 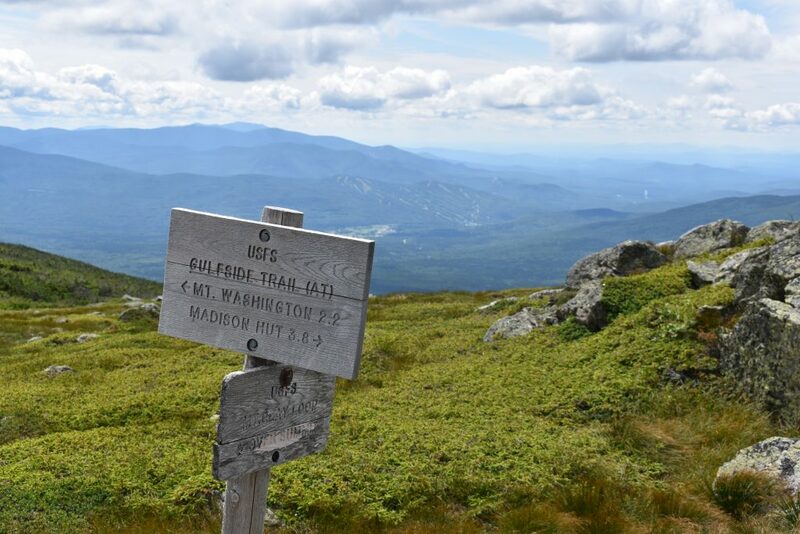 Traveling south from the Great Gulf Trail’s juncture with Six Husbands, the Wamsutta Trail ascends a northern spur of Chandler Ridge, going over outcroppings to the Mount Washington Auto Road and the Alpine Garden Trail. Its name references one of Weetamoo’s six husbands, Wamsutta. 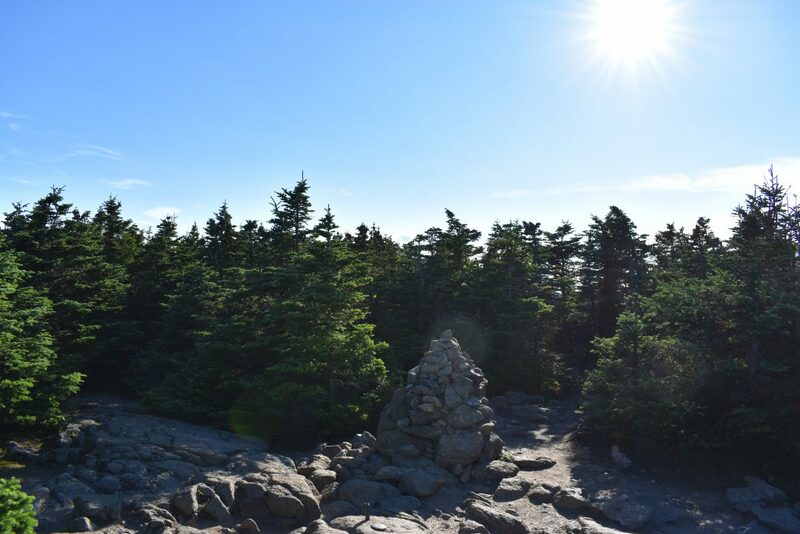 After departing the Great Gulf Trail, the Wamsutta Trail makes a steep climb up a ledge and takes you through an exposed scramble of krumholtz and boulders. 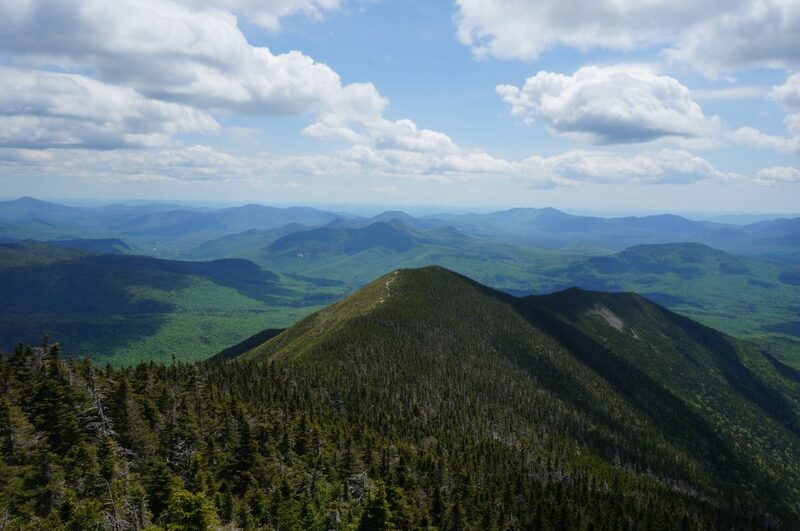 The view along this portion—sublime scenery of massive landslides on Adams, Jefferson’s knee-like ridges, and Madison’s sharp profile—is the reason to stop and stare in awe. Where Six Husbands Trail meets Jefferson Brook, the Buttress Trail, named for the massive ridge that descends from the summit of Adams into the Great Gulf, begins a long journey to the Star Lake Trail. 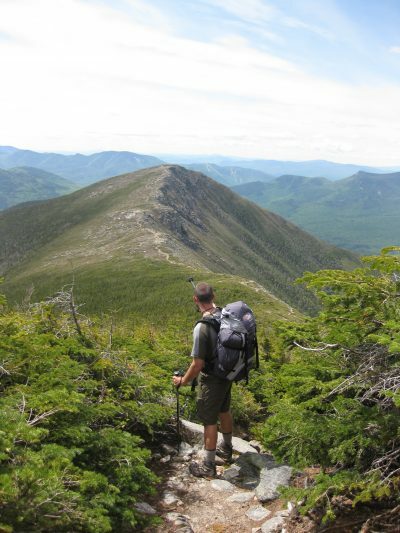 It is easier than the region’s other paths, which makes it helpful for descending. 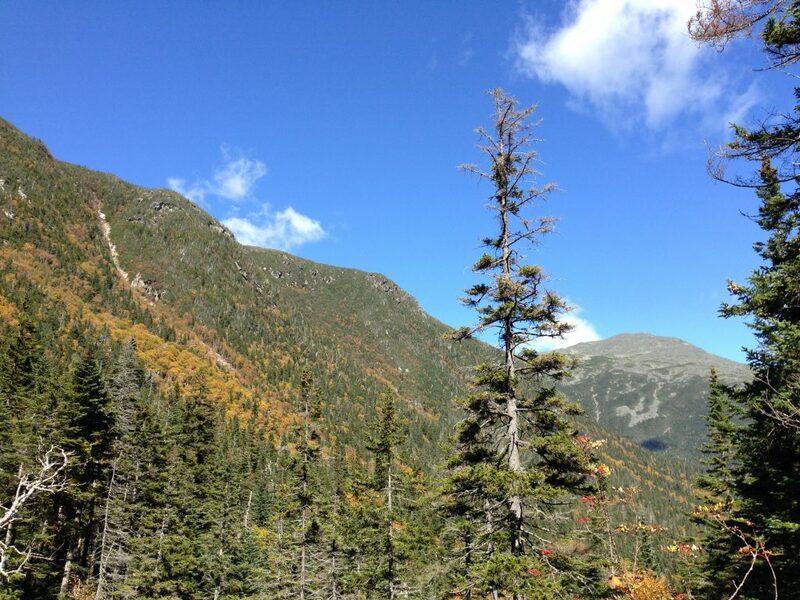 However, despite a modest elevation gain, it is wild and strenuous. The Buttress Trail snakes uphill, in the path of an old landslide, and crosses a massive talus field with a dizzying view of the Great Gulf headwall, Jefferson Ravine, and Jefferson’s narrow North Knee. 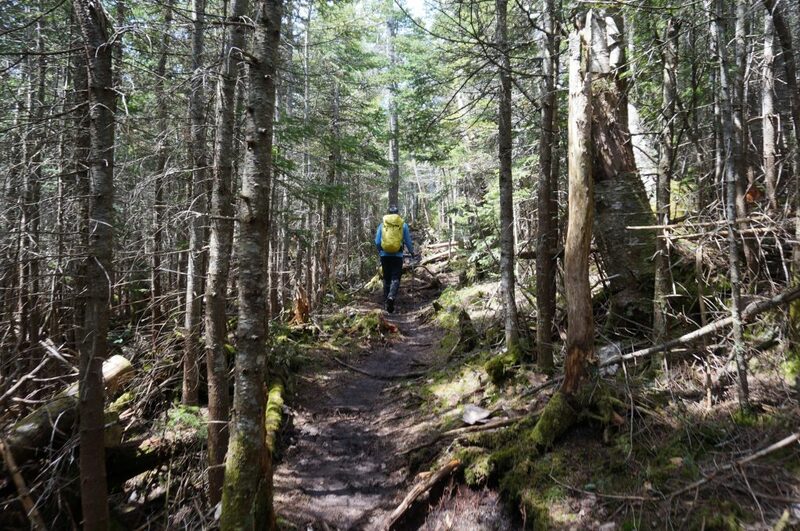 As it heads into a quiet conifer forest, the Buttress Trail then becomes very steep. 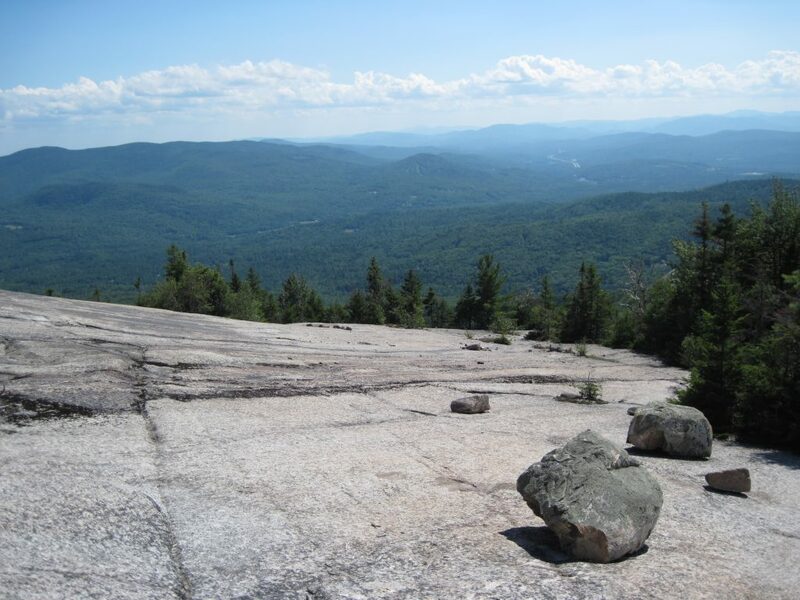 When reaching exposed terrain, it forces hikers to ascend boulders and squeeze between large rocks. The view here to the Carter Range and Madison is stunning and grand. From this point, the Buttress Trail rises above Madison Gulf’s precipitous headwall before connecting with the Star Lake Trail. 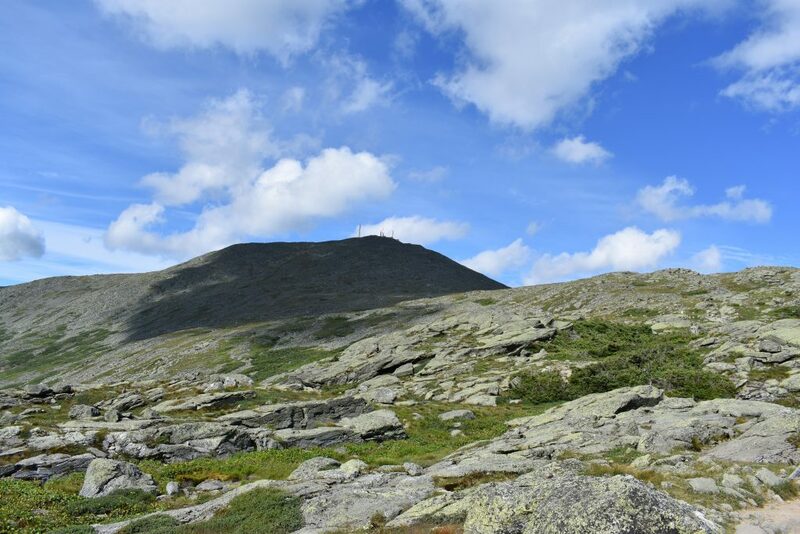 Just over a mile southwest of the Six Husbands and Wamsutta Trails juncture, the Sphinx Trail climbs Sphinx Gulf to the col between Jefferson and Clay. 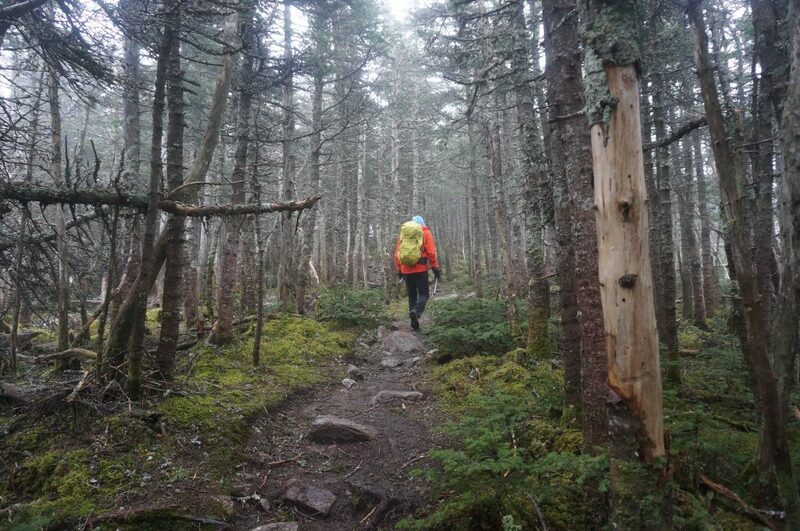 For a little over a mile, this trail parallels and crosses the Sphinx Brook, and sometimes overlaps with it. 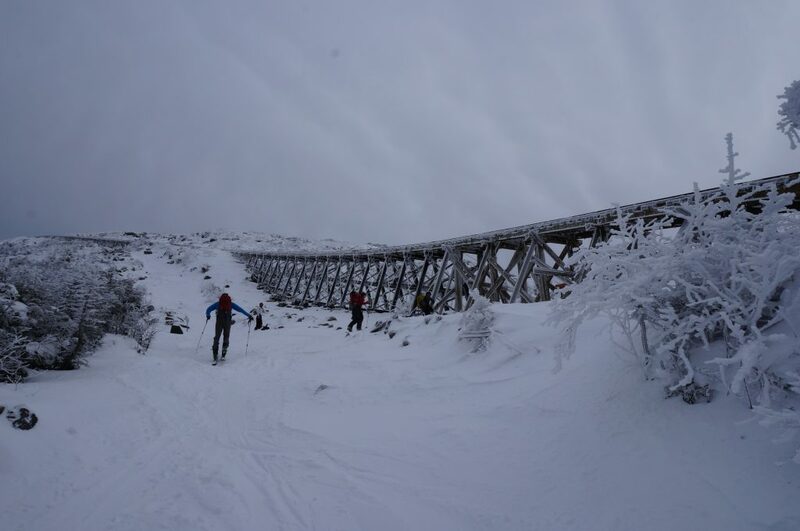 Though slippery in sections and occasionally hard to follow, this trail is a fast trip that can also be used for descending if the brook hasn’t seen recent rainfall. 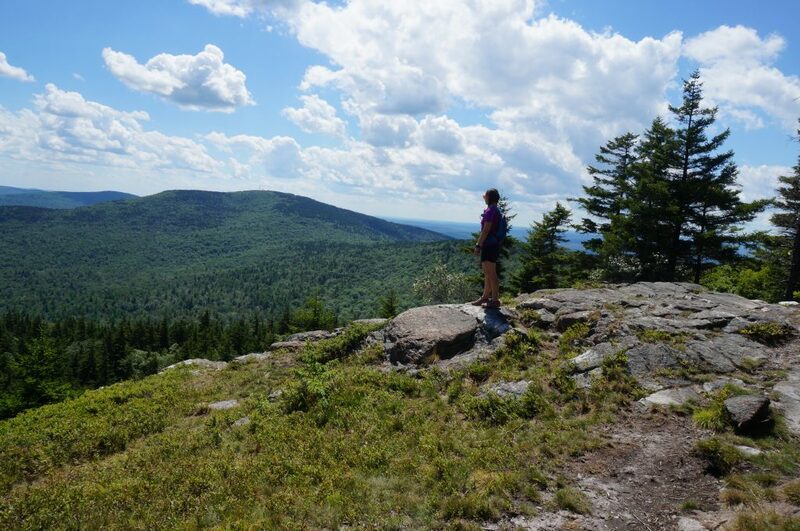 Amazing day hikes are possible using combinations of these spectacular trails. 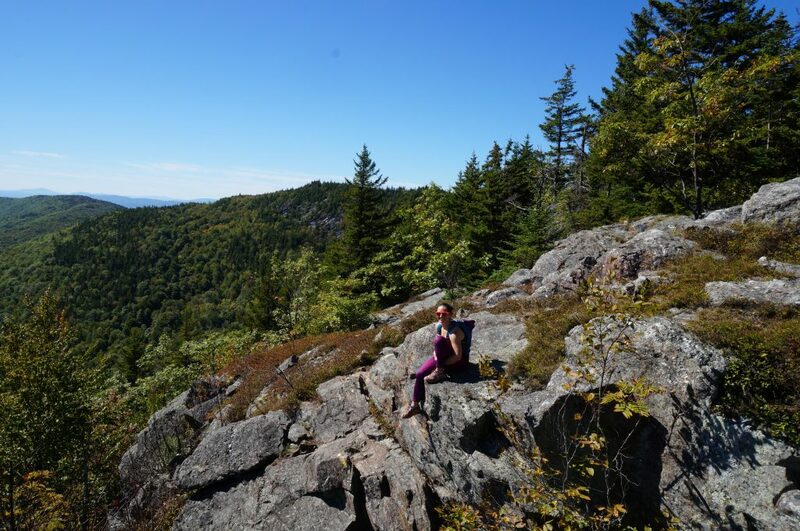 The combination of ascending Six Husbands Trail and descending via Buttress Trail requires significant stamina. Be mindful that, on your return, staying focused helps you avoid slipping. 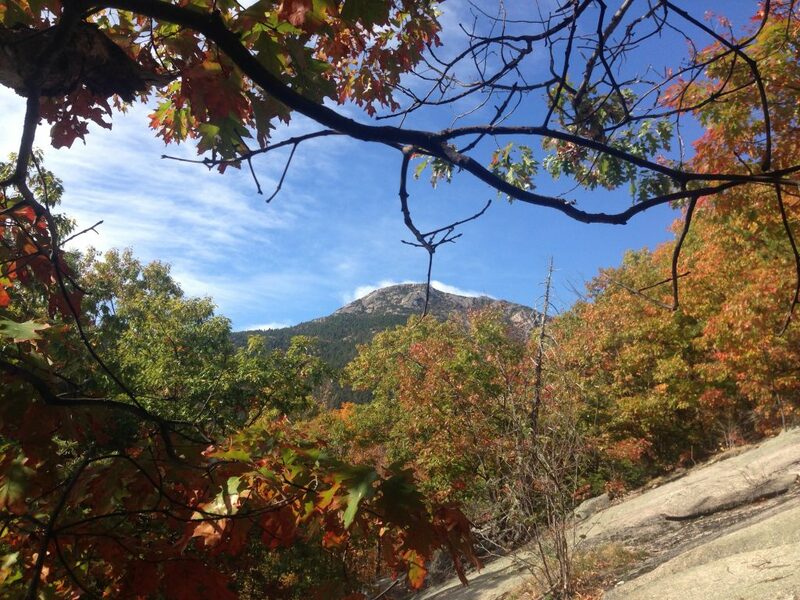 After you’ve reached the summit, use the Gulfside Trail to access Buttress or Sphinx from Jefferson. 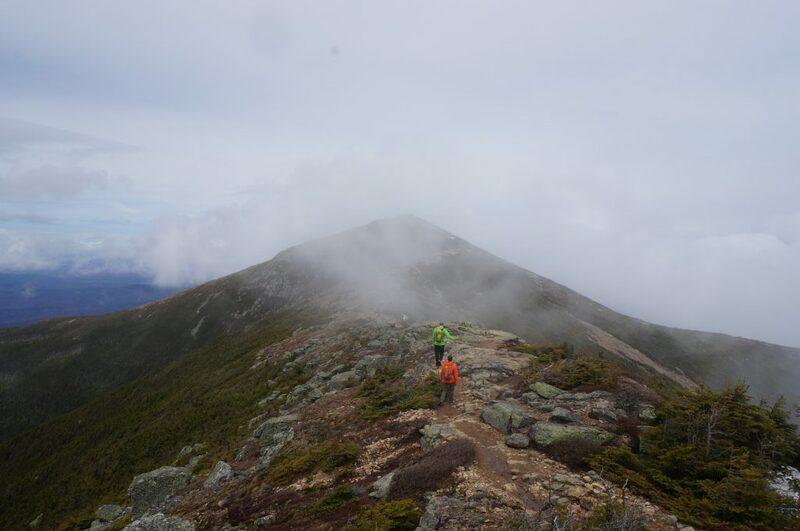 Climbing the Great Gulf headwall is a long day, but well worth it for the view of the Northern Presidentials. For the descent, use the Gulfside Trail to access the Sphinx Trail. Climbing Wamsutta Trail and descending the Sphinx Trail requires care when crossing the Auto Road and again when descending the slippery Sphinx Trail. 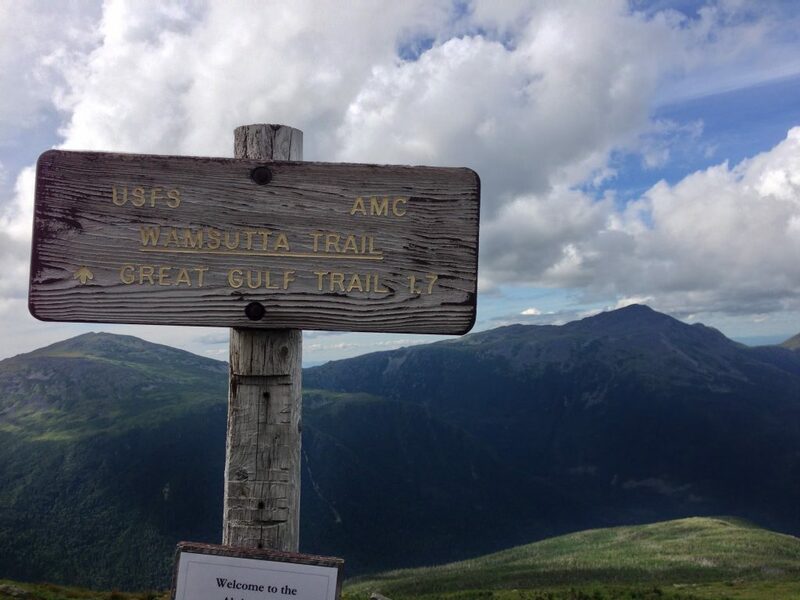 Using Alpine Garden Trail, Nelson Crag Trail, and Gulfside Trail, you can connect the Wamsutta and Sphinx Trails. 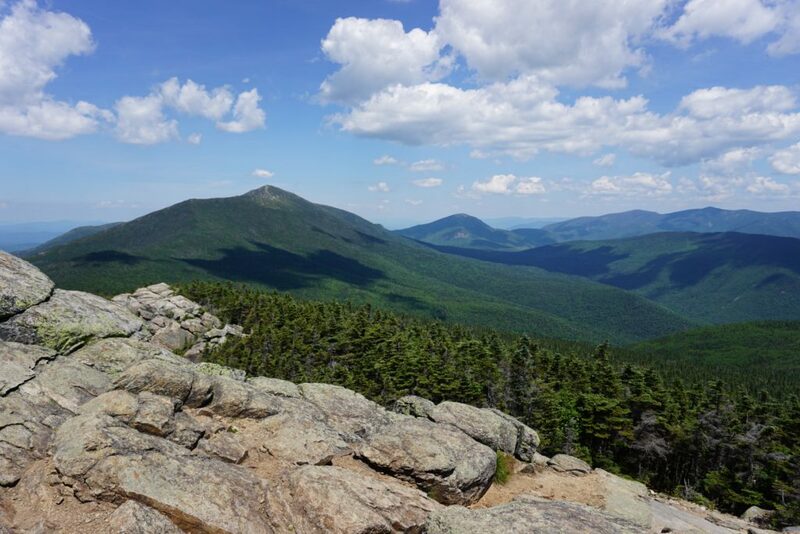 This shorter option avoids the summits of Madison and Adams, opting for a gorgeous view from the Parapet and Buttress Trails. For all Great Gulf trails, use care when descending. 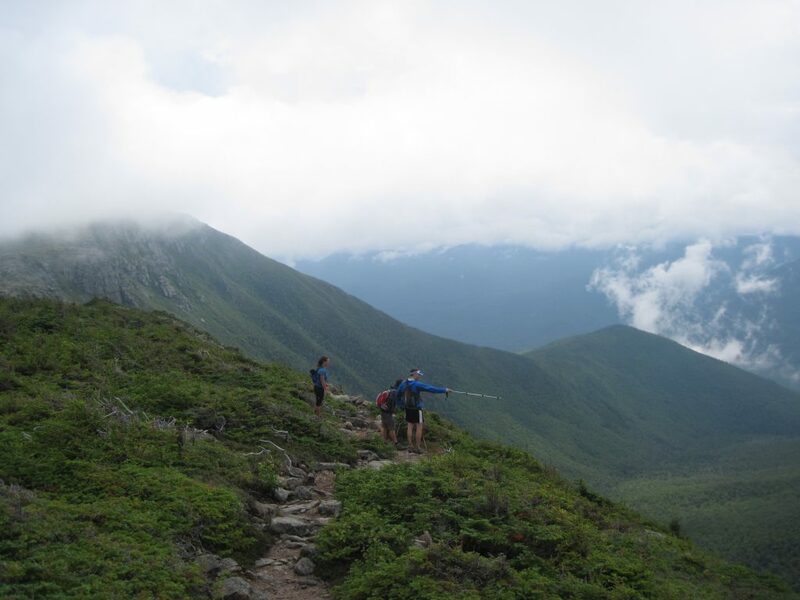 Steep and demanding, especially when compared to other hiking trails, these routes feature areas above treeline that are exposed over long distances. 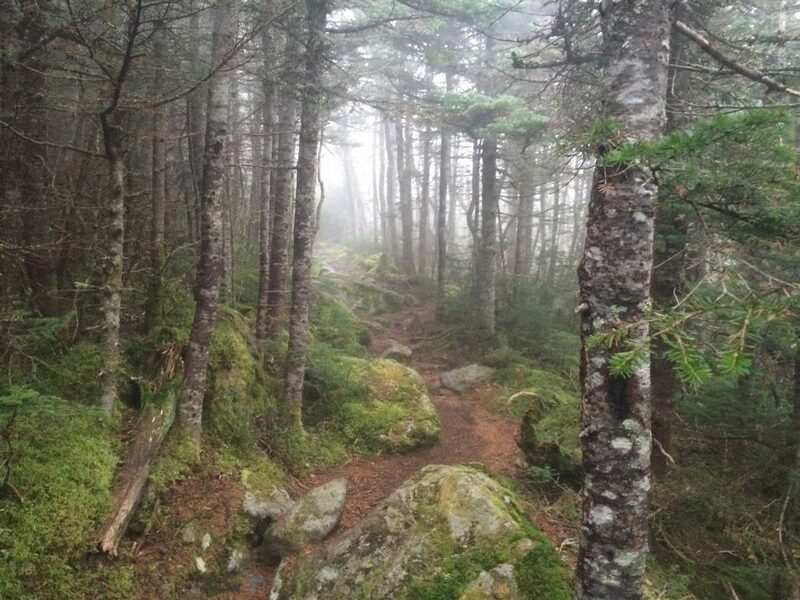 So, if weather turns bad, know your escape route and realize that, during your descent, these trails become potentially dangerous when wet. 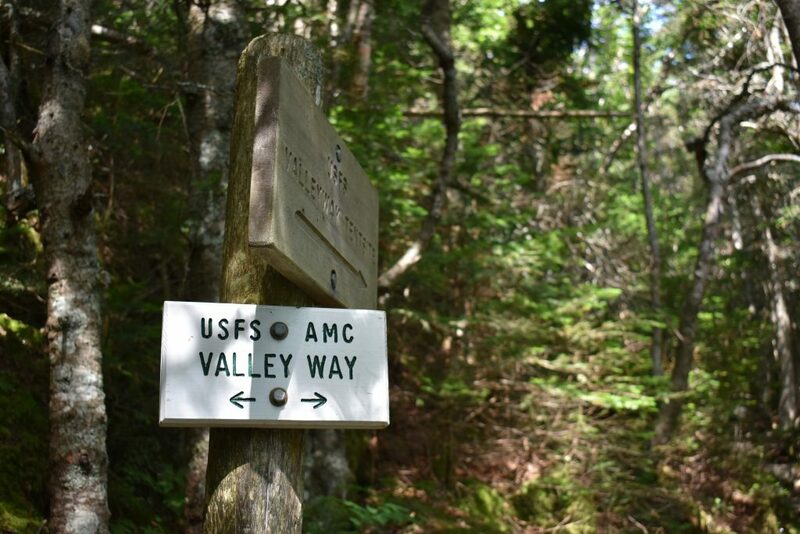 For more assistance, refer to the AMC White Mountain Guide for regulations on camping and more detailed trail descriptions. 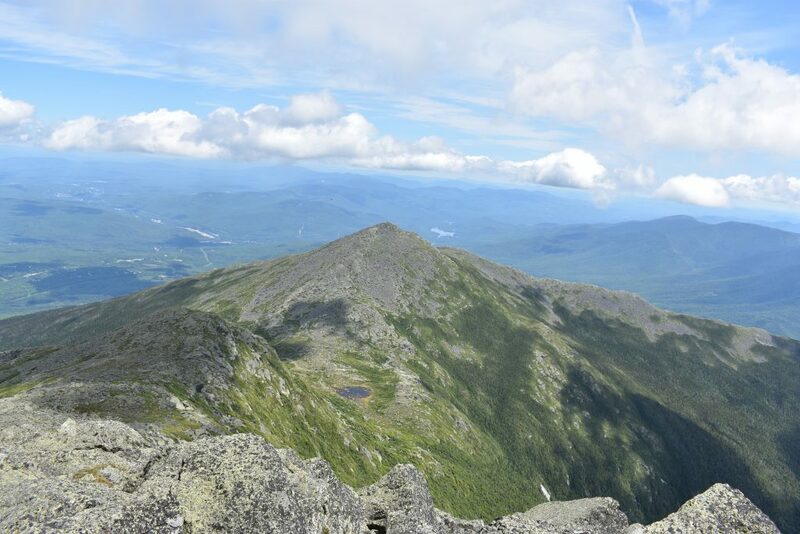 For many people, just getting to the top of a New Hampshire 4,000-footer is a big accomplishment. 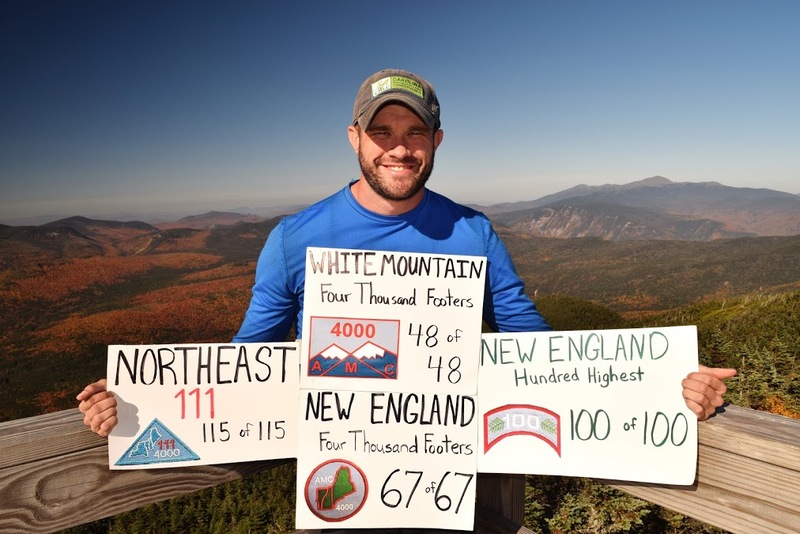 For others, summiting all 48 of the state’s 4,000-footers is the ultimate goal and a sign that you’ve “made it” as a New England hiker. 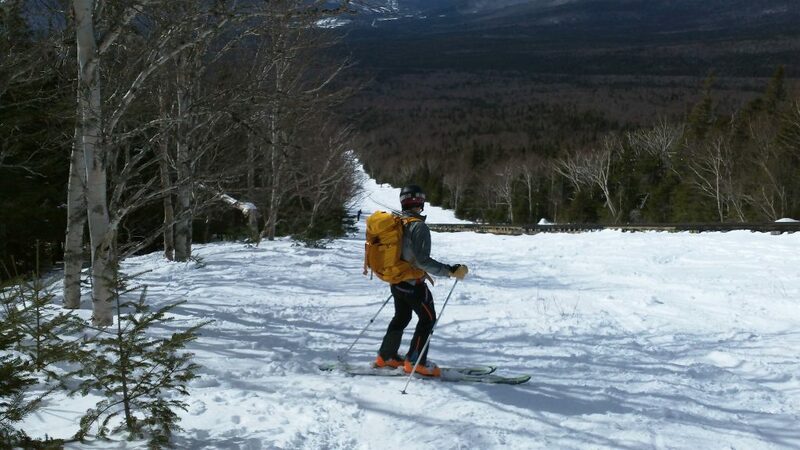 But, for a select few, the White Mountains and New Hampshire’s 4,000-footers get in your blood. So, the idea of stopping at just 48 seems ludicrous. 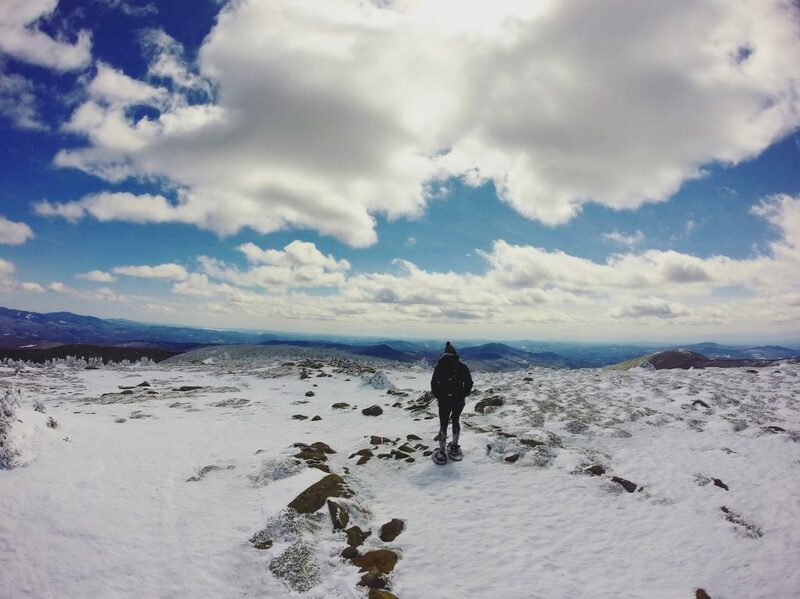 For these people, they move on to tackling more challenging ways to summit the New Hampshire 48, whether by linking them, attempting them in different seasons, or exploring them by different trails. 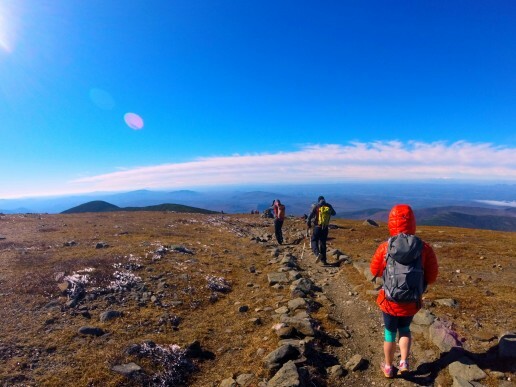 In many cases, hiking your first 4,000-footer involves getting out of your comfort zone, accepting a new physical challenge, and returning to your car with a blend of jubilation and exhaustion. 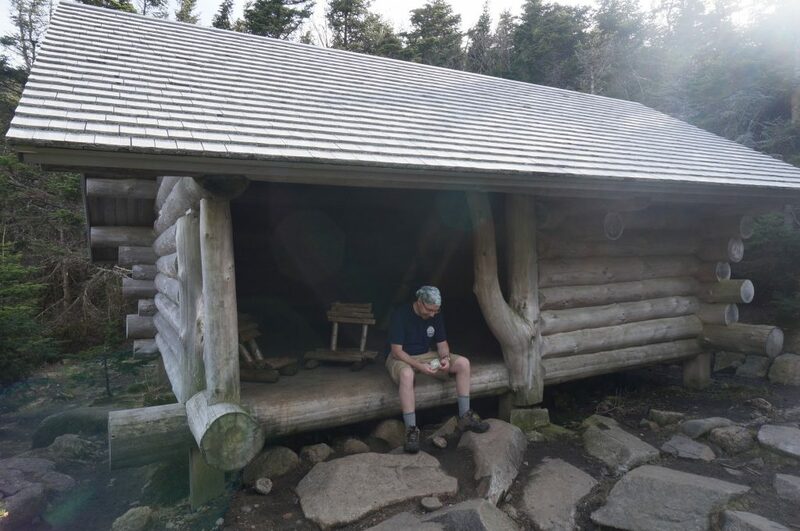 Perhaps it’s the desire to recreate this feeling that leads some to move on from the 48 summits to the White Mountains’ classic long, hard hikes. 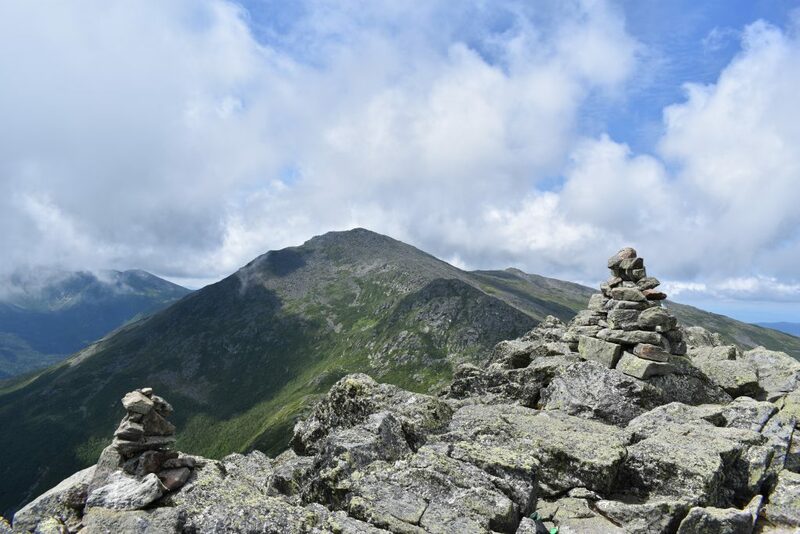 The most notable, the 18-plus mile Presidential Traverse climbs over 8,500 feet while summiting seven New Hampshire 4,000-footers. For planning out your journey, this includes Madison, Adams, Jefferson, Washington, Monroe, Eisenhower, and Pierce. 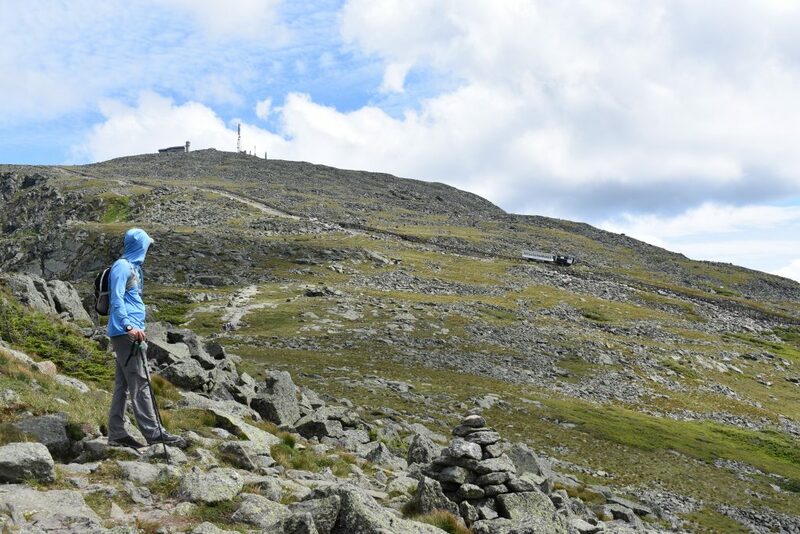 Some ambitious hikers even continue the extra couple of miles to tag the summit of Mount Jackson. 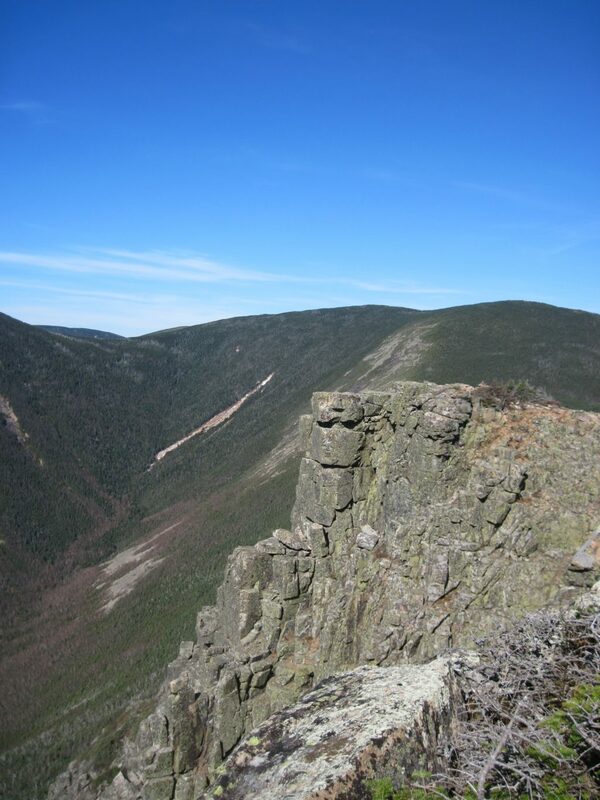 Although the Presidential Traverse gets most of the attention and has more climbing, many insist that a Carter-Moriah-Wildcat Traverse is more difficult. 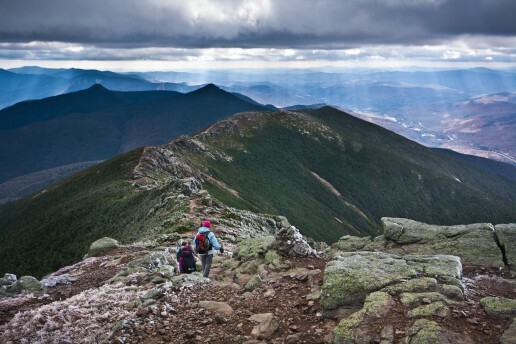 Helping it earn this reputation, its steep rock trails and 7,200 feet of climbing take you over six 4,000-foot summits. 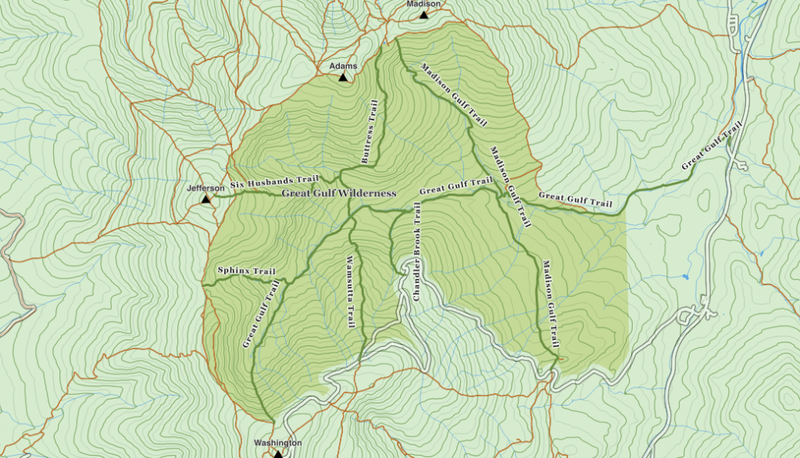 Here, that list covers Moriah, South Carter, Middle Carter, Carter Dome, Wildcat A, and Wildcat D. However, losing the majority of the elevation previously gained and having to reclaim it near the middle at Carter Notch really make the Carter-Moriah-Wildcat Traverse feel difficult. While traverses are great, sometimes you want to go big but only have access to one car. 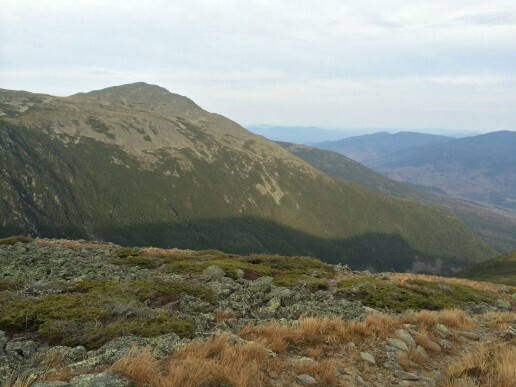 Here is where the Pemi Loop rules. 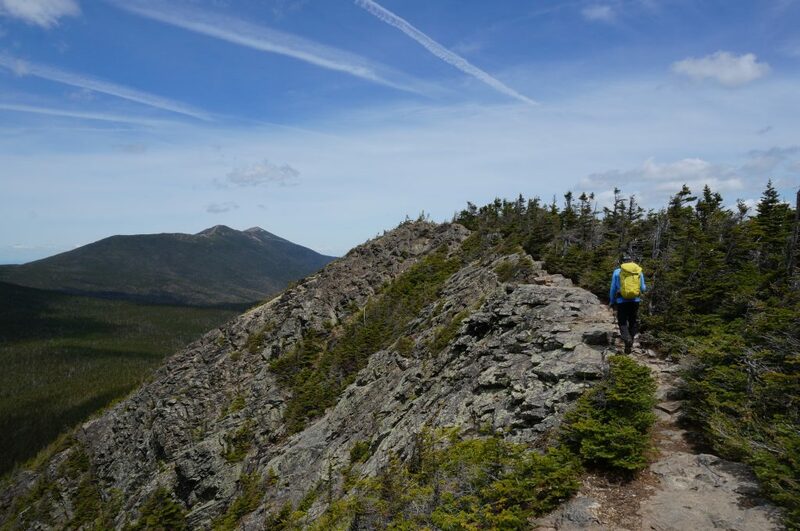 The route, as you may know, combines two of the White Mountains’ classic traverses—Franconia Ridge and the Bonds—into what Backpacker Magazine has labeled the country’s second-hardest day-hike. 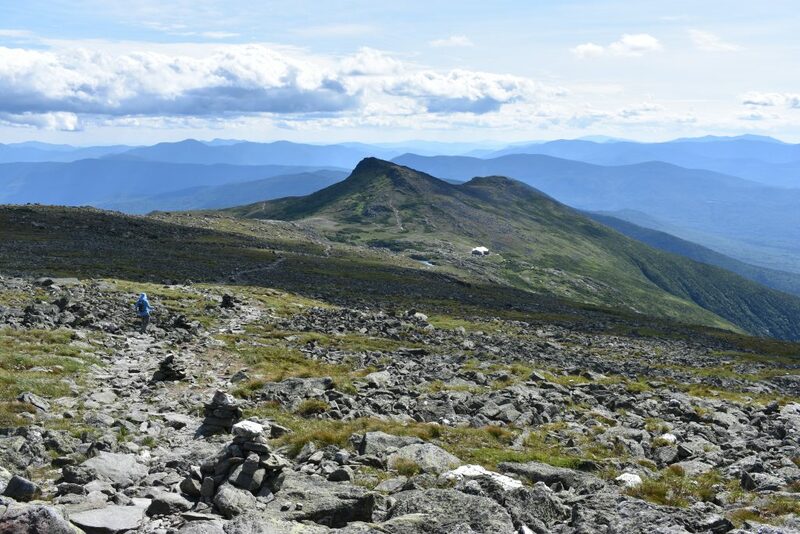 Covering over 30 miles and 9,000 feet of elevation gain, this legendary loop hike tags the summits of nine New Hampshire 4,000-footers. This time, you’ll reach Flume, Liberty, Lincoln, Lafayette, Garfield, South Twin, West Bond, Bond, and Bondcliff. 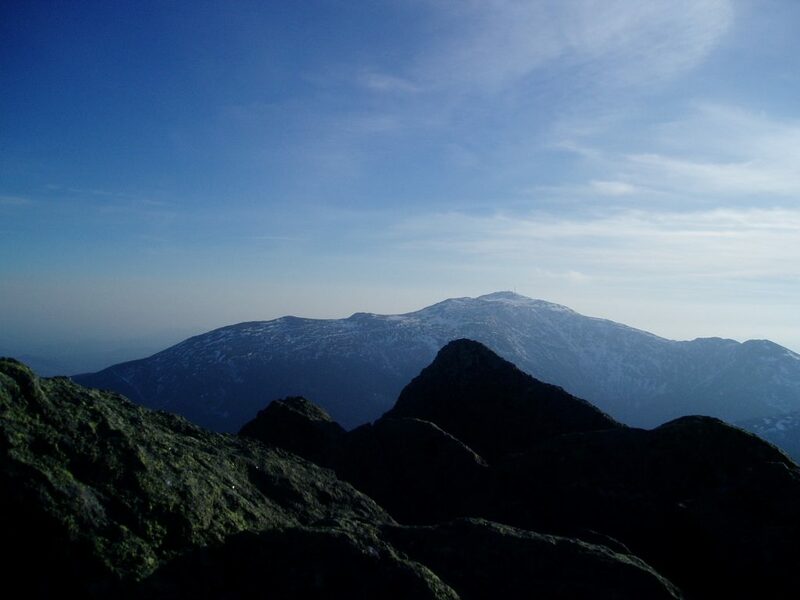 The truly ambitious and fit will then add the summits of Galehead, Zealand, and North Twin for an almost 40-mile day that summits 12 peaks. 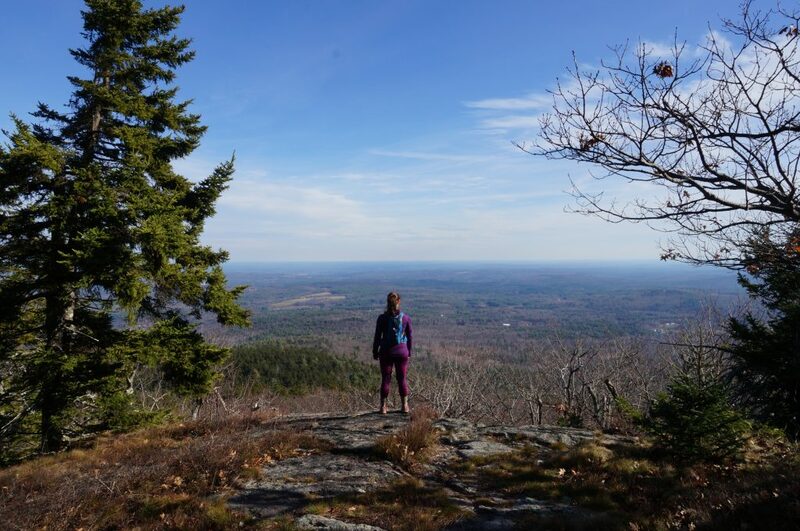 Although the big hikes present equally large challenges, they can all feasibly be done in a day. 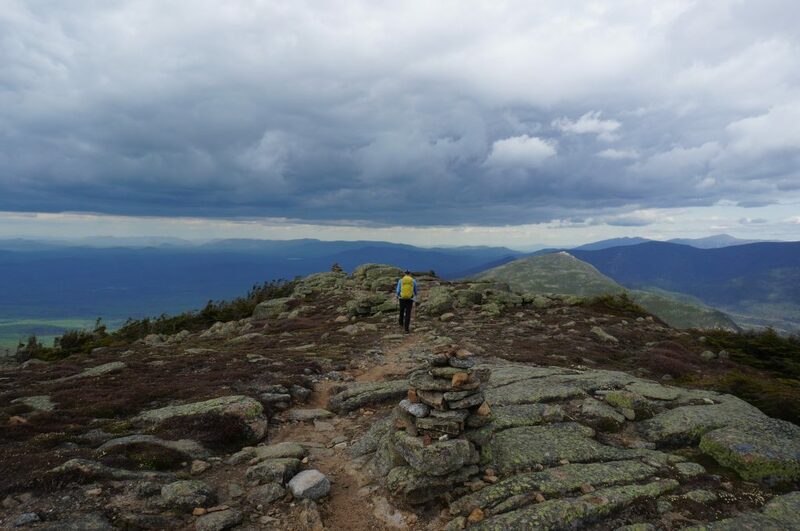 For those looking for a longer-term commitment, on the other hand, you can attempt “gridding.” Gridding is defined as hiking every New Hampshire 4,000-footer in every month of the year. 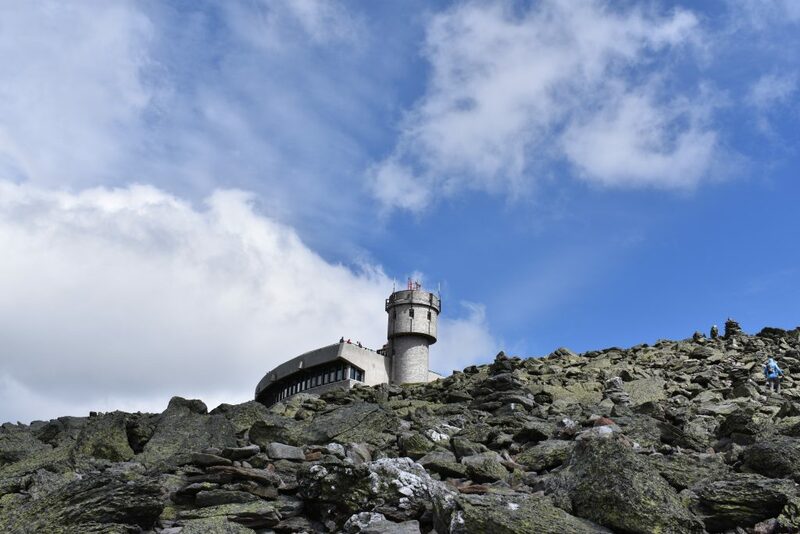 These journeys amount to a grand total of 576 summits and appeal to those of us who love checking boxes off our lists. 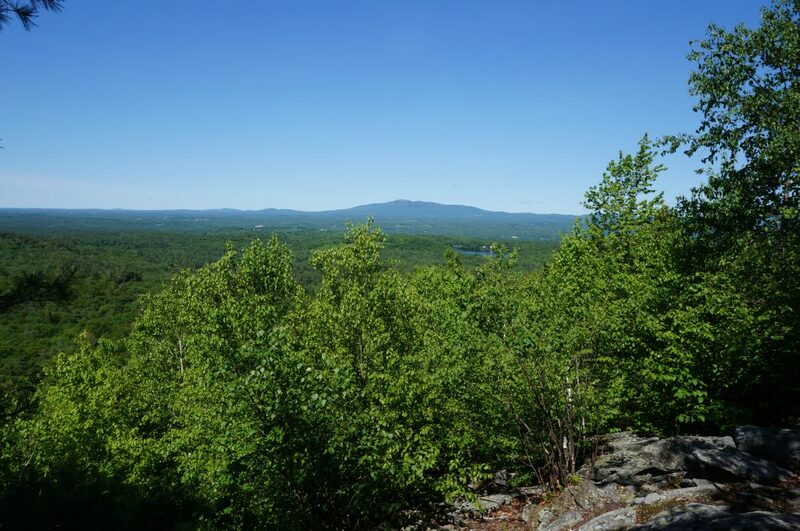 Until this January, completing the grid was considered a multi-year objective—that is, until Sue Johnston of Littleton, NH, became the first person to do it in a calendar year. And, according to the definitive website for gridders, 48×12.com, only 70 people have completed the whole shebang. 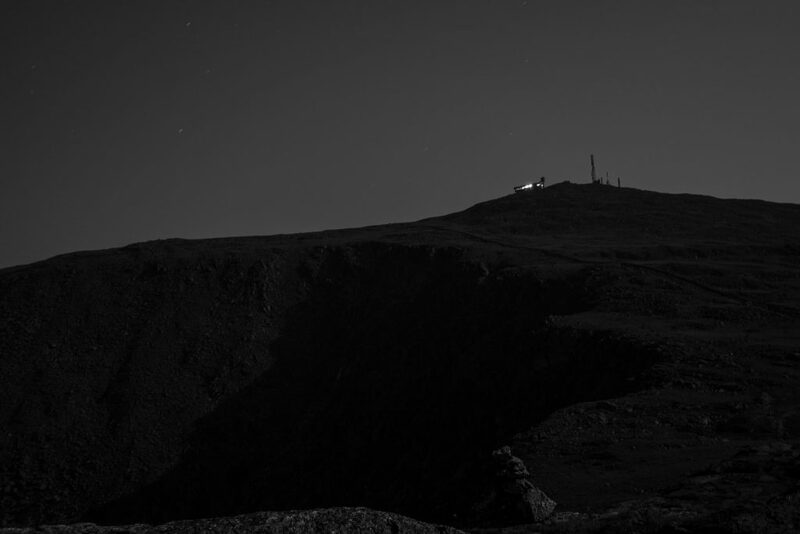 Named for the 48 x 12 spreadsheet used to document ascents, gridding adds the challenge of facing each and every mountain in all possible conditions. That covers the snow and ice of winter to the mud of spring to the heat and humidity of summer to the treacherous leaves of fall. If the idea of gridding sounds overly ambitious to you, red-lining will sound downright crazy. 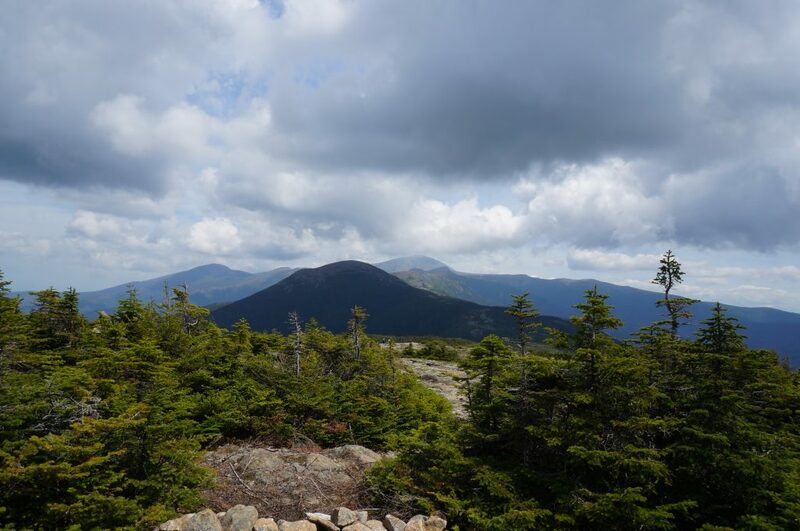 While hiking the New Hampshire 48 and gridding revolve around summiting the White Mountains’ highest peaks, red-liners seek to hike every mile of every trail, including viewpoints, campsites, and spur trails (approximately 1,420 miles) found in the AMC White Mountain Guide. If that sounds like a lot of mileage, take into consideration that many of the trails are out-and-backs or crisscross with others. Typically, this forces red-liners to hike far more miles than just the 1,420 miles required. 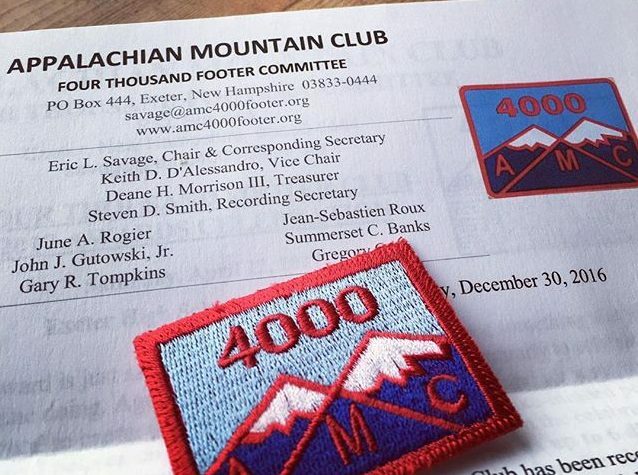 While summiting all 4,000-footers is an incredible accomplishment, you don’t have to stop there! 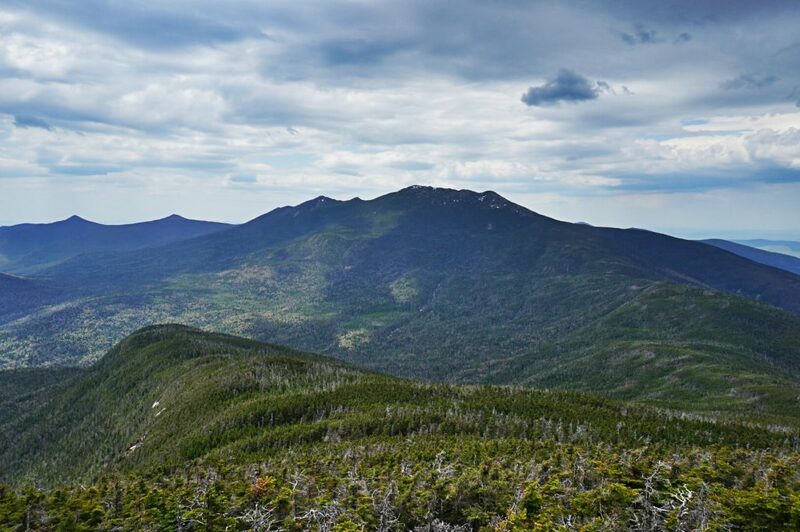 New Hampshire’s White Mountains can be explored and experienced in so many different ways. Whether you want to repeat your favorites, tackle the hardest, grid, red-line, or invent some new way to keep the challenge alive, just remember that the 48th summit doesn’t have to be your last.